Home automation technologies help manage the systems in the home, to make everything function efficiently and with ease. 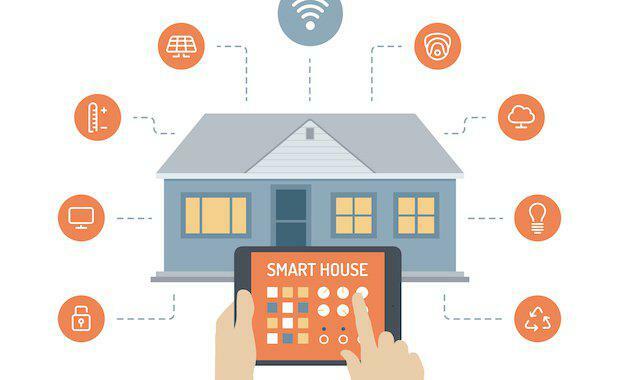 They have been present for decades and over time these technologies have evolved, turning our homes into Smart Homes. Kudos Audio Visual, a Brisbane based company, is leading the way for intelligent home lighting. Their home automation lighting system is attached onto existing lights and does not require re-wiring of the home. It is installed behind the light itself and aims to reduce the homeowner’s carbon footprint with efficient lighting. Kudos Audio Visual lightening can be scheduled to turn on for when you arrive home, dim down lights and turn off external lights at night all to ensure the home is energy efficient. Intellifone is an integrated phone system technology that allows you to answer your front door or gate from any fixed or cordless phone within the house. The Intellifone is compatible with non-smart wired homes and existing phones. This technology is set to replace the conventional intercom system. The PlantSmart Plant Sensor is a digital sensor that shows exactly what vegetables, fruits, herbs, flowers, trees, shrubs or houseplants need to grow anywhere, inside or outside. For over 6,000 plants, PlantSmart has step-by-step plant care, pruning, fertilization and gardening tips. Place PlantSmart in any growing area to collect data on sunlight, temperature, soil conditions and more. The reusable sensor works both indoors with potted plants and outside in your lawn or garden. The Iris Home Management System lets the homeowner wirelessly control all systems in their home from their computer, mobile or tablet device. The system, which is only currently available in America, allows the user to customize and monitor its homes functions – allowing them to adjust the lights, climate control and security system. Iris also enables the user to program the cat door, to let pets in through a device attached to their collar. On offer by DIY Home Automation, this tiny door and window sensor offers an added sense of security. The battery-powered device uses Z-Waves and sends radio signals to up to six associated devices when it is separated. This tiny devise has incredible longevity with two-year battery life and anti tamper capabilities. The award winning home automation system by Insteon is an industry leader. This system is used for basic lighting control, appliance control and can be used with integrated systems. Offering both electrical wiring and wireless radio-frequency, this dual-mesh technology is a step ahead of the rest.